RENO, NV –– CITADEL will be exhibiting at Legacy Sports International’s booth #312 at the NRA convention in Indianapolis, In from April 26- 28. 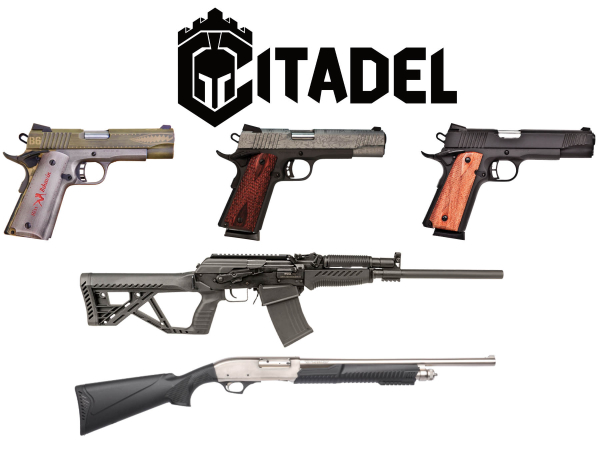 CITADEL will have their exciting new 2019 items on display including their new Warbird M1911 which pays ode’ to the P1911 Mustang aircraft. This pistol is made using Cerakote laser image technology. This same method is used on the new CITADEL M1911 Madagascar which has a Damascus pattern over the Cerakote on the slide of the 1911. Also on display will be the new CITADEL Officers model 1911. Along with their new products CITADEL will be featuring the RS-S1 and CDP-12. One of the most versatile shotguns offered by Legacy Sports this year is the new CITADEL Semi-Automatic RS-S1 Shotgun, based on the popular AK platform. The RS-S1 is built from the ground up to be a user friendly, hard use shotgun that will perform under the harshest conditions. It is compatible for home defense, recreation, as well as competition use with numerous after-market add on options available being VEPR compatible. 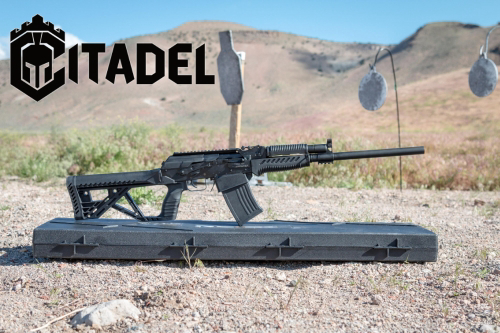 The CDP- 12 is new to the CITADEL home defense line. The CDP-12 pump action shotgun comes in both a tough black synthetic stock as well as a durable marine Cerakote finish. Both stock options are available with a 3” chamber making the CDP-12 ideal for home security. The CEO of Legacy Sports International, Rick Hanke, as well as the Executive Vice President of Marketing & Sales, Andy McCormick, will be in attendance along with other members of the Legacy Sports International product development, sales, and marketing team. Additional information is also available at LegacySports.com. For the latest news from Legacy Sports International, Inc. follow us on social; Instagram, Facebook, and YouTube.